Essere Creativo is a showcase for emerging choreographers and performers | 2014 edition. The showcase is addressed to emerging choreographers and performers, above 18 years, of any European country. 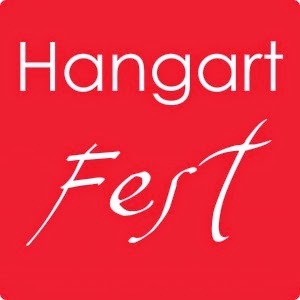 The objective of the showcase is to take a closer look at the European independent contemporary scene in order to offer to emerging and talented choreographers and performers opportunities of artistic and/or professional growth and enrichment, thanks to residencies offered by festivals and theatres partners of Hangartfest. Deadline for applications: The applications must be sent by E-mail by the 15th June 2014.
info@esserecreativo.it indicating as object the name of the candidate. - Candidate’s data: name, surname, address, mobile number. - Vimeo link www.vimeo.com or Youtube link www.youtube.com which contains the film of the proposed work. If the account is private, candidate must indicate the password. - Application form with the List of participants. - Copy of candidate’s passport or of group’s representative passports. - Short artistic description of the submitted work. - Short choreographer’s bio or choreographers’ bios in case of a collective work. - Technical rider adapted to the technical specifications of the theatre. In case of a group selection, the Application Form must to be filled in and signed by a representative that will speak on behalf of the group. For any further information about the present call, please write to the under mentioned E-mail address indicating as object candidate’s name.